Milka Djordjevich and Chris Peck. Photo by Julieta Cervantes. New album from Crystal Mooncone on Innova Recordings. February 23-24 2018, New York City Electroacoustic Improvisation Summit. Duo with Lyn Goeringer. The Kitchen, NYC. April 2015. More performances coming soon, TBA! 9-10 December, 2014, 8:30pm. Kaaitheater, Brussels, BE. Electro-acoustic improvisation with Stephen Rush (piano, Fender Rhodes, Micromoog, toys, Carnatic vocals), Chris Peck (flute, lapotp, microphone, harmonica, melodica, guitar), and Jon Moniaci (accordion, laptop). New album on Innova Recordings. Previous albums available via the age of crystal mooncone web-central. Annotated music-focused excerpts from three evening-length dance performances. 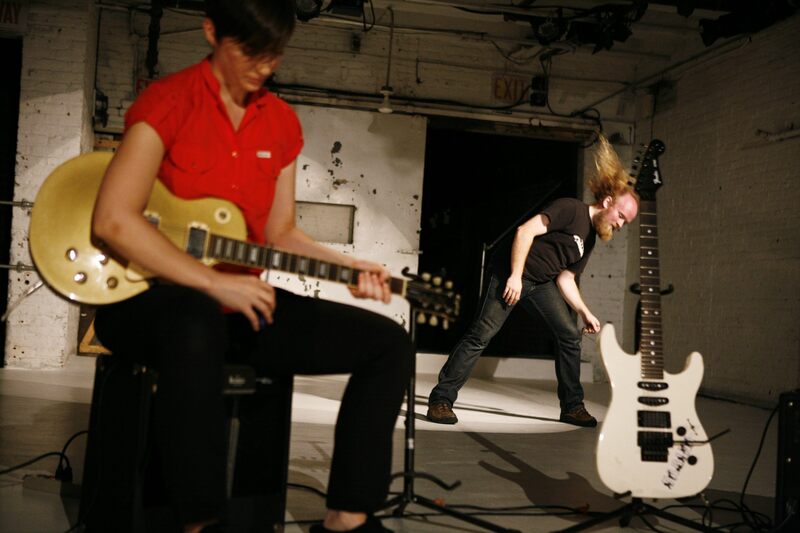 Music and sound design for Wolf, a large site-specific performance by Deke Weaver. Premiere at the Allerton Music Barn in central Illinois, September 2013. Additional performances of solo version by Weaver in various locations around California, Oregon, and Washington, Spring 2014. Chris Peck is a composer, computer musician, and improviser who often collaborates with contemporary dance and theater. His career in the performance world has included collaborations with artists such as Beth Gill, John Jasperse, RoseAnne Spradlin, David Dorfman, Abby Yager, Ming Yang/Dance Forum Taipei, and Jeanine Durning; performances at venues such as The Kitchen and the Whitney Museum, and festivals such RoseLee Goldberg’s Performa biennials and the Venice Biennale; and numerous reviews in publications such as The New York Times and The Village Voice. Peck collaborated with Deke Weaver and Jennifer Allen on Land of Plenty in 2008-2010, and made music for two installments of Weaver's Unreliable Bestiary: Elephant in 2010-11 (performing in the premiere at the Stock Pavilion in Urbana as well as subsequent iterations at the Sundance Film Festival and Salt Lake Arts Center) and Wolf in 2013. Recent projects include co-creations of music-dance works with LA-based choreographer Milka Djordjevich (MASS at The Kitchen, NYC in 2015) and Brussels-based choreographer Eleanor Bauer (MEYOUCYCLE at Kunstenfestivaldesarts in 2016). Peck also performs as an improviser with Jon Moniaci and Stephen Rush under the name Crystal Mooncone. The trio recently completed its fifth album, using material recorded in concert at Stanford’s Center for Computer Research in Music and Acoustics (CCRMA). The album, Listening Beam Five, is now available from Innova Recordings. Peck has also presented at academic conferences including the Society for Electro-Acoustic Music in the United States, The International Computer Music Association, and The National Dance Education Organization. 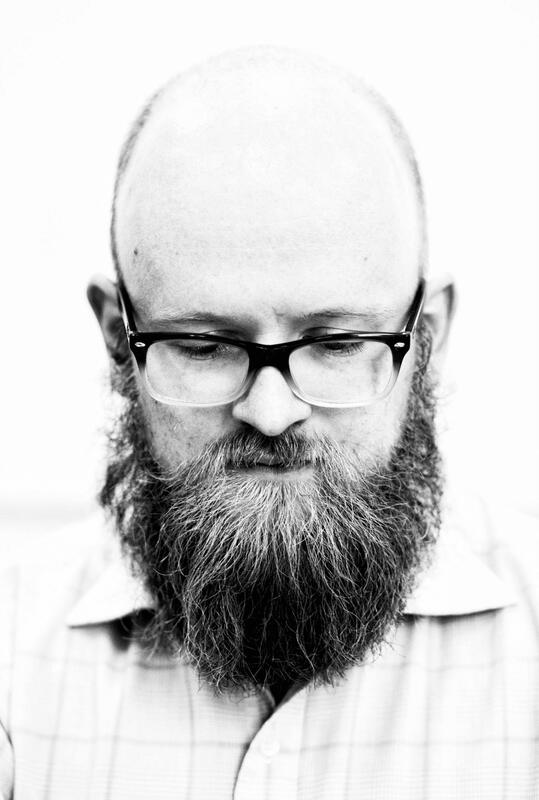 He holds an MA from the Electro-Acoustic Music program at Dartmouth College and a Ph.D. in Composition and Computer Technologies from the University of Virginia. From 2015 to 2017, Peck taught music courses in the Global Arts Studies Program at the University of California, Merced, directed an Experimental Inter-Arts Ensemble, and developed web-based software tools for music theory and ear training. Peck is now based in Berlin, where he works with the Learning Team at Ableton. He is also working on a new music-theater piece with Eleanor Bauer, NEW JOY, set to premiere at Schauspielhaus Bochum in February 2019. "Taking into account the lengths of lace curtain that overhang and cut the stage space like decorative saw blades, as well as the intermittent live and electronically produced score by Chris Peck, who is seated with two other musicians on the side of the stage, the whole affair grandly adds up to much, much more than just two dancers." Robert Greskovic. 2003. The Wall Street Journal. Review of John Jasperse's just two dancers at Dance Theater Workshop. "And now as if the cleaning and the scrubbing and the scything and the mowing had drowned it there rose that half-heard melody, that intermittent music which the ear half catches but lets fall; a bark, a bleat; irregular, intermittent, yet somehow related; the hum of an insect, the tremor of cut grass, dissevered yet somehow belonging; the jar of a dorbeetle, the squeak of a wheel, loud, low, but mysteriously related; which the ear strains to bring together and is always on the verge of harmonising, but they are never quite heard, never fully harmonised, and at last, in the evening, one after another the sounds die out, and the harmony falters, and silence falls." Virginia Woolf. 1927. To the Lighthouse. Google Books. "Pauline Oliveros provided a more conventionally notated score for her 'Pebble Music' (1992). Had she adopted Ms. Ono's concise form of scoring, her card might have read: 'Throw a bunch of pebbles in a plastic cup. Shake them around, tap instruments with them, drop them. Play vague bits of intermittent music. Eventually stop.'"